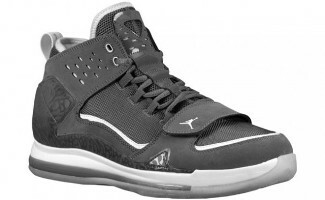 After enjoying a lot success during the earlier releases of this shoe, the Jordan Brand wants to make another noise with the release of a much-enhanced edition of the Jordan Evolution ’85 shoe this April 2011. The Jordan Evolution ’85, which was made to commemorate Michael Jordan’s entry to the NBA that obviously changed the game of basketball, will come out in Light Graphite/White colourway. Featuring an impressive combination of graphite jersey-like color and white outsole, the new Jordan Evolution ’85 can also be used for casual purposes aside from using it for playing purposes. Like the previous editions of this shoe, expect a high level of comfort, making it a must-buy this month.